For the Japanese manga, see Buzzer Beater (manga). 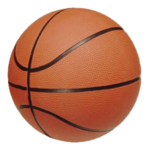 In basketball and other sports, a buzzer beater is a shot that is taken before the game clock of a quarter, a half, or an overtime period expires but does not go in the basket until after the clock expires and the buzzer sounds. The term is normally reserved for baskets that beat an end-of-quarter/half/overtime buzzer but is sometimes referred to shots that beat the shot clock buzzer. If a player releases the ball before the buzzer sounds, the shot still counts if it goes in even though the clock expires before the ball goes through the hoop. Officials in the National Collegiate Athletic Association, National Basketball Association, Women's National Basketball Association, Serie A (Italy), and the Euroleague (Final Four series only, effective 2006) are required to use instant replay to assess whether a shot made at the end of a period was in fact released before the game clock expired. Since 2002, the NBA also has mandated LED light strips along the edges of the backboard and the edge of the scorer's table for the purposes of identifying the end of a period. Dubbed THE DUNK, in the 1983 NCAA Championship Finals, with 2 seconds to play and the score tied at 52, NC State forward Lorenzo Charles caught the ball from Derek Whittenburg and dunked the winning shot as time expired. NC State defeats Houston by a score of 54 to 52. After the win, Jimmy V is seen running frantically searching for Derek for their customary post-game hug. In the most improbable matchups, NC State won its last 10 games of the season, including ACC Tournament Championship to become eligible for the NCAA Tournament. NC State also had the most regular season losses (10) of any previous NCAA Champion. In the 1992 East Regional Finals, with 2.1 seconds to play and down 103–102 in overtime, Duke forward Christian Laettner caught a full court inbounds pass from Grant Hill, turned and drained a 17-footer (5 m) at the buzzer to give the Duke Blue Devils a 104–103 victory over the Kentucky Wildcats. The lead changed hands five times in the last 31.5 seconds of overtime. In the 1992 NCAA Tournament, the Georgia Tech Yellow Jackets' legendary coach Bobby Cremins led an inexperienced Tech team to the Sweet 16, thanks in no small part to James Forrest's buzzer-beating game-winning 3-pointer in the second round against USC (to which CBS commentator Al McGuire famously shouted, "Holy mackerel! Holy mackerel! Holy mackerel!"). With 0.8 seconds (8 tenths of a second) left, Forrest received a half-court inbounds pass, rotated 180 degrees and nailed the three-pointer at the buzzer for the win. On January 5, 2004, the Texas Longhorns' forward P. J. Tucker hit a buzzer beater in a game against Providence College to win 79–77 in OT. After extensive looks at instant replay, it was clear that the ball was in his hand when the game clock hit 0.0, but out before the red backboard light came on; by rule, the game ends when the backboard lights up, so the basket counted and Texas won the game. On January 31, 2005, Guilford College was tied at 88 with Randolph-Macon College. Randolph-Macon was shooting 2 free throws with 0.6 seconds (6 tenths of a second) left. After making the first to take an 89–88 lead, the second shot missed. Guilford player Jordan Snipes grabbed the rebound under the basket and threw the ball towards the other goal. The shot went in, giving Guilford a 91–89 victory. Snipes duplicated the feat several days later on air with the local news network WFMY-TV in Greensboro, North Carolina. In the 2006 NCAA Tournament First Round, #14 seed Northwestern State (LA) stunned the #3 seed Iowa Hawkeyes 64–63 with a last second three-pointer "off the heels" in the far corner by Jermaine Wallace. Northwestern State had come back from 17 points down with 8 minutes to play. In a 2010 NCAA regular season game against Georgia Tech, the Maryland Terrapins, in essence, made two buzzer beaters (with only the second one counting). First, with 3 seconds on the clock, Greivis Vasquez made a half-court shot on the run to beat what would have been the buzzer. However, Maryland coach Keith Booth had called timeout with 1.5 seconds left, before Vasquez had released the ball. Following the timeout on the ensuing inbounds pass, the Terps got the ball to Cliff Tucker, who made a three-pointer at the buzzer to win the game 76–74. On February 7, 2013, in an NCAA regular season game, Tyler Griffey made an uncontested buzzer-beating layup off an inbounds pass with 0.9 seconds (9 tenths of a second) left to lead the Illinois Fighting Illini to a 74–72 upset home win over #1 ranked Indiana Hoosiers. On March 18, 2016, during the first round of the 2016 NCAA Tournament, Paul Jesperson of Northern Iowa made a buzzer beater from half court to win the game for the 11th seeded Panthers 75–72, and upset the 6th seeded Texas Longhorns. On March 20, 2016, during the second round of the 2016 NCAA Tournament, with 2.6 seconds left and the game tied at 63, Wisconsin's Bronson Koenig made a 3-point buzzer beater after receiving an inbound pass from Ethan Happ. This resulted in the 7th seeded Wisconsin upsetting the 2nd seeded Xavier. On April 4, 2016, Villanova's Kris Jenkins hit a three-pointer at the buzzer to defeat North Carolina to win the 2016 NCAA Tournament, 77–74. In Game 1 of the 1950 NBA Finals, Bob Harrison hit a 40-foot (12 m) buzzer-beater to win the game for the Lakers, 68–66. In Game 4 of the 1969 NBA Finals, Sam Jones hit an off-balance 18-footer (5.5 m) as time expired to lift the Celtics to a series-tying 89–88 win over the Lakers. In Game 3 of the 1970 NBA Finals, with the Lakers trailing the Knicks 102–100. Jerry West sank a desperation buzzer-beating 60-foot (18 m) shot to tie the game. Since the three-point field goal was not adopted until the 1979–80 NBA season, it only tied the game. The Lakers lost 111–108 in OT. In Game 5 of the 1976 NBA Finals, Gar Heard hit a buzzer beater against the Boston Celtics to tie the game at 112 and force a third overtime. This was one of the many high points of the game, which the Celtics won, 128–126. Heard's shot is one of the many reasons the NBA refers to Game 5 as "The Greatest Game Ever Played". In Game 1 of the 1986 Eastern Conference First Round, Dudley Bradley banked in a 3-pointer at the buzzer to win it 95–94, after the 76ers led 94–77 with 3 minutes left. In Game 3 of the 1986 Western Conference Semifinals, Derek Harper hit a long 3 with 3 seconds left to beat the Lakers, 110–108. In Game 5 of the 1986 Western Conference Finals, the Rockets and Lakers were tied at 112 with 1 second left and the ball at half-court. Ralph Sampson hit a turn-around shot at the buzzer to win the series for Houston. In Game 5 of the 1989 Eastern Conference First Round, Michael Jordan took the inbounds pass with 3 seconds left, sprinted to the free throw line and hit The Shot over Craig Ehlo at the buzzer to beat the Cleveland Cavaliers 101–100. In Game 4 of the 1993 Eastern Conference First Round, with Charlotte down 103–102 with 3.3 seconds left, Alonzo Mourning took the inbounds pass and hit a 20-footer (6 m) with 4 tenths left. In Game 4 of the 1993 Eastern Conference Semifinals, "The Shot II". With the score tied at 101, Michael Jordan made an 18-foot fade-away over Gerald Wilkins at the buzzer to give the Bulls a 103–101 victory and sweep Cleveland. In Game 3 of the 1994 Eastern Conference Semifinals with 1.8 seconds left and the Bulls down 2–0 in the series, Toni Kukoč sank a 23-ft (7 m) fadeaway at the buzzer to give Chicago a 104–102 victory over New York. In Game 5 of the 1995 Western Conference Semifinals, Nick Van Exel hit a 3 with 0.5 seconds (5 tenths of a second) left in OT to give the Lakers a 98–96 win over the Spurs. He had also hit a 3 with 10.2 seconds left in regulation to tie it at 88 and force overtime. In Game 1 of the 1995 Eastern Conference Semifinals, Reggie Miller scored 8 points in 8.9 seconds to erase a 6-point deficit and beat New York, 107–105. In Game 4 of the 1995 Eastern Conference Finals, Indiana's Rik Smits faked a shot over Tree Rollins, then hit a 10-footer (3 m) at the buzzer to beat Orlando 94–93. The lead changed hands four times in the last 13.3 seconds. In Game 1 of the 1995 NBA Finals, Houston's Hakeem Olajuwon tipped in a missed layup by Clyde Drexler with 0.3 seconds (3 tenths of a second) left in OT to beat the Magic 120–118. In Game 4 of the 1997 Western Conference First Round, the Suns' Rex Chapman caught an overthrown Jason Kidd pass and made a falling-out-of-bounds 3 with 1.9 seconds left to tie it at 107. The Suns still lost 122–115 in OT. In Game 4 of the 1997 Western Conference Finals, Houston's Eddie Johnson hit a buzzer-beating 3 to beat Utah 95–92. In Game 6 of the 1997 Western Conference Finals, John Stockton hit a 3 at the buzzer, lifting Utah over Houston 103–100 to win the series 4–2. In Game 1 of the 1997 NBA Finals, Michael Jordan hit a jumper over Bryon Russell at the buzzer to give Chicago the 84–82 victory. In Game 4 of the 1998 Eastern Conference Finals, Indiana was trailing Chicago 94–93 with 2.9 seconds left. Derrick McKey inbounded to Reggie Miller, who hit the game-winning 3 with 7 tenths left. In Game 5 of the 1999 Eastern Conference First Round, Allan Houston hit a runner with 0.8 seconds (8 tenths of a second) left to beat Miami 78–77. This also meant New York was just the 2nd #8 seed at the time to beat a #1 seed. In Game 4 of the 2002 NBA Western Conference Finals, the Lakers were trailing the Kings 99–97 with 11.8 seconds left. The Lakers were trailing 2–1 in the series and faced Game 5 in Sacramento. After Kobe Bryant and Shaq missed consecutive layups, Vlade Divac swatted the ball away in a vain attempt to run out the clock. However, it went right to Robert Horry, who caught the ball and hit a three-pointer at the buzzer to give the Lakers the 100–99 victory. In Game 5 of the 2004 Western Conference Semifinals, Tim Duncan made a fade-away 18-footer (5.5 m) over Shaquille O'Neal to give the Spurs a 73–72 lead with 0.4 seconds (4 tenths of a second) left, but Derek Fisher hit a 20-footer (6 m) at the buzzer to win the game for the Lakers 74–73. In Game 5 of the 2004 Eastern Conference Semifinals, with the series tied at 2, the Detroit Pistons were down 88–85 to the Nets with no timeouts. Chauncey Billups ran up-court and banked in a 3 at the buzzer to tie the game at 88. Detroit lost in 3OT, but won the series in 7 and proceeded to defeat the Lakers 4–1 in the NBA Finals. In Game 4 of the 2006 Western Conference First Round, Kobe Bryant made a buzzer beater to defeat Phoenix 99–98 and give the Lakers a 3–1 series lead. In Game 4 of the 2009 Eastern Conference Semifinals, Glen Davis made a jumper at the buzzer to give the Celtics a 95-94 victory over the Orlando Magic. In Game 2 of the 2009 Eastern Conference Finals, LeBron James took the inbounds pass and hit a 3 at the buzzer to give the Cavaliers a 96–95 victory over the Orlando Magic. In Game 3 of the 2010 Eastern Conference First Round, Paul Pierce made a jumper from the free-throw line at the buzzer, giving the Celtics a 100–98 victory and a 3–0 series lead over the Miami Heat. In Game 5 of the 2010 Western Conference Finals, after Kobe Bryant missed a 3, Ron Artest hit the put-back at the buzzer to give the Los Angeles Lakers a 103–101 win over the Phoenix Suns to give the Lakers a 3–2 series lead. The Lakers won the series 4–2 and went on to win their 2nd straight title. In Game 2 of the 2013 Western Conference First Round, Chris Paul made a layup at the buzzer, giving the Los Angeles Clippers a 93-91 win over the Memphis Grizzlies. In Game 1 of the 2013 Eastern Conference Finals, with the Heat down 102–101 in overtime against the Indiana Pacers, LeBron James made a driving lay-up as time expired in OT to give the Heat a 103–102 win over the Pacers. In Game 3 of the 2014 Western Conference First Round, Vince Carter hit a 3 from the left corner at the buzzer, giving the Mavericks a 109–108 victory and a 2–1 series lead over the San Antonio Spurs. However, Dallas would lose in 7 games to the eventual NBA champion Spurs. In Game 6 of the 2014 Western Conference First Round, with the Portland Trail Blazers down 98–96 with 9 tenths left, Damian Lillard hit a buzzer beating 3 off the inbounds pass to beat the Houston Rockets 99–98 and win the series 4–2. In Game 4 of the 2015 Eastern Conference First Round, Jerryd Bayless banked in a lay-up at the buzzer to give the Milwaukee Bucks a 92–90 win against the Chicago Bulls; this meant that they trailed the series 3–1. In Game 3 of the 2015 Eastern Conference Semifinals, Derrick Rose banked in a 3 at the buzzer to give the Chicago Bulls a 99–96 win against the Cavaliers and take a 2–1 series lead. In Game 4 of the 2015 Eastern Conference Semifinals, LeBron James hit a corner 2 at the buzzer to give the Cavaliers a 86–84 win against the Bulls and even the series at two games apiece, while Cavaliers coach David Blatt was being held back from attempting to call a timeout. The Cavs had none at the time, and the technical foul would have given Chicago a free throw and possession. In Game 3 of the 2015 Eastern Conference Semifinals, Paul Pierce banked in a step-back 21-footer (6.5 m) at the buzzer to give the Washington Wizards a 103–101 win against the Atlanta Hawks and take a 2–1 series lead. In Game 1 of the 2016 Eastern Conference Semifinals, Kyle Lowry of the Toronto Raptors hit a half-court shot at the buzzer to tie it at 90. The Raptors eventually lost to the Heat 102–96 in OT. In Game 1 of the 2017 Western Conference First Round, Joe Johnson hit a game-winning layup at the buzzer to give the Utah Jazz a 97–95 win against the Los Angeles Clippers to take a 1–0 series lead. In Game 5 of the 2018 Eastern Conference First Round, LeBron James hit the game winner at the buzzer to give the Cavaliers a 98–95 win against the Pacers and take a 3–2 series lead. In Game 3 of the 2018 Eastern Conference Semifinals, LeBron James hit the game winner at the buzzer to give the Cavaliers a 105–103 win against the Raptors and take a 3–0 series lead. In Game 5 of the 2019 Western Conference First Round, with the Portland Trail Blazers and Oklahoma City Thunder tied 115-115, Damian Lillard hit a 37-foot buzzer beating 3 over Paul George to beat the Thunder 118-115 and win the series 4–1. On September 4, 1999, during Game Two of the 1999 WNBA Finals, Teresa Weatherspoon of the New York Liberty made a buzzer beater from just beyond the half-court line to beat the Houston Comets 68–67, and tie the series at one game apiece. The Comets eventually won the series, two games to one. In the 1972 Olympic Finals, Alexander Belov of the Soviet Union scored a last-second basket after catching a full-court desperation launch by a teammate. As time expired, Belov hit a layup that won the game 51–50 against the U.S. team. In the second round of the 1997 Eurobasket, in a high-strung game between FR Yugoslavia and Croatia (the first one after the breakup of SFR Yugoslavia and the ensuing Yugoslav wars), Aleksandar Đorđević won the game for Yugoslavia 64–62 with a coast-to-coast three-pointer. The same player won the 1992 Euroleague title for Partizan Belgrade in strikingly similar fashion (albeit with 2 seconds left on the clock). (Euroleague) On April 7, 2004, Maccabi Tel Aviv was trailing Žalgiris at home, on the decisive round-robin match to determine which team advances to the Final Four tournament, held later that month on Maccabi's home court in Tel Aviv. Maccabi's failure to advance would mean utter disaster, as team officials battled all season long against Euroleague attempts to relocate the tournament due to ensuing Al-Aqsa intifada and similar UEFA ban on football (soccer) matches hosted in Israel. With 2 seconds remaining and Maccabi trailing by 3, Derrick Sharp caught a long pass from Gur Shelef, turned to the basket and fired a game-tying fade-away three-pointer, forcing overtime. Maccabi won that game, advanced to the Final Four and became Euroleague Champion, winning the final game against Skipper Bologna by the all-time record score of 118–74. On August 15, 2004, in the first game of the Olympic Games, after a run of Alejandro Montecchia, Manu Ginóbili received the ball trailing 82–81 against Serbia and Montenegro with 0.7 seconds (7 tenths of a second) left. He made the shot while falling sideways after it hit the board. Argentina then would win the gold medal. In an exhibition match between the US and Germany during the run-up to the 2004 Olympics, a less than stellar Team USA was saved by Allen Iverson (then of the Philadelphia 76ers), who hit a half-court shot to keep the game from going into overtime. On April 25, 2010, in the title game of the 2009–10 ABA League, Partizan Belgrade topped Cibona Zagreb in overtime in Arena Zagreb, thanks to an off-the-glass three-pointer by Dušan Kecman from half-court at the buzzer, bringing the celebration of Cibona players and staff (who already invaded the floor as Bojan Bogdanović scored a corner three-pointer for Cibona with just 0.6 seconds left on the clock) to an abrupt end. Partizan thus won its fourth consecutive Adriatic League title. The final score was 75–74. On January 24, 2014, in a Top 16 Euroleague game between Anadolu Efes and EA7 Emporio Armani Milan, Efes was trailing by two points when Keith Langford from Milan had another free throw attempt (after hitting the first one) with three seconds left on the game clock. He then probably missed the second free throw on purpose so that Anadolu Efes cannot take another timeout. Zoran Planinić from Anadolu Efes then grabbed the rebound, took one dribble and threw the ball from within their own three point line to the basket of Milan. He made it and no time remained on the game clock; the final score was 61–60. On April 25, 2014, in the semifinal game of the 2013–14 ABA League Final Four, between Partizan Belgrade and Cedevita Zagreb, Cedevita was trailing with 1 point and possession less. Milenko Tepić of Partizan missed the three-point shot with 6 seconds left, Nolan Smith of Cedevita grabbed the ball, ran to the other side of the court with his defenders not guarding him, and hit a running three-point buzzer beater from 30 feet (9 m). The final score was 81–79. The significance of that shot is even more than just a victory, if it is known that it secured a direct spot in the 2014–15 Euroleague season for Cedevita, while leaving Partizan out of the Euroleague for the first time after 14 years, and the first time since ULEB takeover of the competition in 2000. On September 16, 2018, Greece national basketball team qualified to the 2019 FIBA Basketball World Cup after a thrilling win with a buzzer beater made by Kostas Papanikolaou after a Nick Calathes assist in Tbilisi over Georgia 86–85. The term is sometimes applied to analogous achievements in other sports. In ice hockey, like in basketball, a buzzer beater is a goal that is scored just as the clock expires in a period. Unlike in basketball, however, the puck must completely cross the goal line with 0.1 seconds or more remaining on the clock in order for the goal to count; if the period expires (the exact moment when the green goal light comes on at 0.0 seconds) before the puck completely crosses the goal line, the goal is disallowed. In Australian rules football there are kicks after the siren, where a mark or free kick awarded just before the end of a quarter may be kicked as the final action of that period. In Gaelic football play is extended to allow for the kick of a free kick or puck awarded prior to the end of a half. In gridiron football, a last-minute field goal (or, much more rarely, a successful fair catch kick) kicked as time expires can be described as a "buzzer beater," though no actual buzzers are used in that sport. In all codes, if a play is in progress at the time the clock expires, play continues until the ball is dead. (In American football, the snap on the buzzer-beating play must take place before the clock expired, except if the defense commits a foul on the last play, in which case an untimed down is added. In Canadian football, a play can and must be executed even if the clock expires after the previous play but before the snap.) Several important games have been decided on the outcome of buzzer beaters, such as Super Bowl XXXVI and Super Bowl XXXVIII, both of which were decided on successful kicks by Adam Vinatieri; in contrast, Scott Norwood's infamous missed kick in Super Bowl XXV decided that game in favor of the opposing New York Giants. A related concept in football is the Hail Mary pass. In rugby union the game does not end until the ball goes dead after time has expired - therefore if a side trailing by less than one score can maintain possession and keep the ball in play they have a chance of victory. A rule change in 2017 amended the rules so that if a penalty is awarded the ball can be kicked out and a line-out taken, even if time has elapsed. The rules in rugby league also allow for play after time has elapsed, however a tackle will also end the game, meaning that significant extensions are less likely. Starting with the 2018 season, the National Federation of State High School Associations rules for high school boys' field lacrosse in the United States allow for buzzer-beaters. A goal counts if the shot was released before the official's whistle signaling the end of play for any period of the game, even if it goes in after having previously contacted part of the goal or a defensive player (post-whistle shots that contact an offensive player in any way before entering the goal, however, do not count). The opposing team may request a stick check after buzzer-beaters, unless it comes at the end of the game and does not result in overtime, since the rules consider the game over at that point. US Lacrosse similarly changed the youth rules the same season to allow buzzer-beaters. However, the National Collegiate Athletic Association rules for men's lacrosse still require that any shot enter the goal before the whistle to score. ^ Hutchens, Terry (2013-02-08). "Illinois Fighting Illini upset No. 1 Indiana Hoosiers". USA Today. Retrieved 2014-12-16. ^ O'Donnell, Ricky (March 19, 2016). "Northern Iowa stuns Texas with halfcourt, game-winning buzzer beater". SB Nation. Retrieved March 23, 2016. ^ Wolken, Dan (March 21, 2016). "Bronson Koenig drills game-winning jumper to send Wisconsin to Sweet 16". USA Today. Retrieved March 21, 2016. ^ NBA.com: Jordan Hits "The Shot"
^ "Smit kao Kecman, Partizan bez EL". b92.net (in Serbian). Retrieved 21 November 2014. ^ Dorotić, Mateo (25 April 2014). "Cedevita - Partizan 81:79 Nolan Smith trica (Croatian commentators)". youtube.com. Retrieved 21 November 2014. ^ "GAA Referee Handbook" (PDF). p. 25. Retrieved 3 April 2018. ^ 2018 Boys' Lacrosse Rule Book. Indianapolis, Indiana: National Federation of State High School Associations. 2018. p. 3. ^ Rule 4.8.1; 2018 Youth Boys' Rulebook (PDF). Towson, Maryland: US Lacrosse. 2018. p. 5. Retrieved June 18, 2018. ^ Rule 4, Section 11a, 2017 and 2018 Men's Lacrosse Rules and Interpretations (PDF). Indianapolis, Indiana: National Collegiate Athletic Association. October 2016. p. 37. Retrieved June 18, 2018.